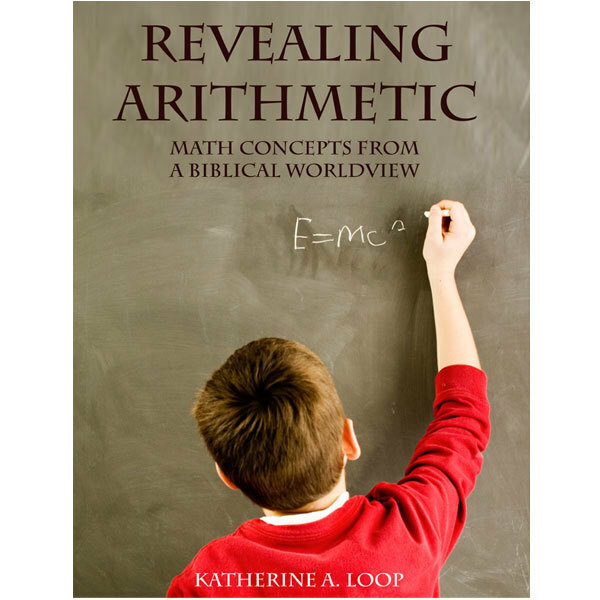 This two-book biblical worldview math program will help you transform your math class, show students why math (including algebra, geometry, trigonometry, and probability) matters, help students understand the mechanics of math, and leave students awed at God’s faithfulness. Includes the complete set of both Book 1 and Book 2 of Principles of Mathematics, a one-of-a-kind program that is transforming how students see math. ﻿Your Students Won't See Math the Same Way Again﻿! 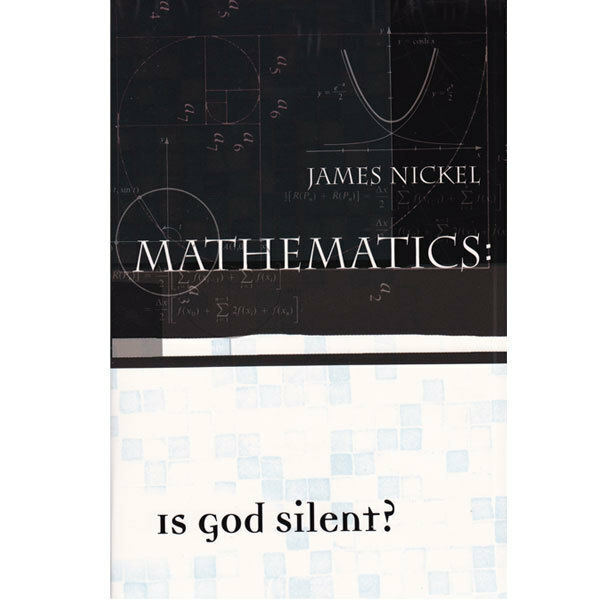 Wouldn't it be neat if students finished math awed at God's greatness? This curriculum doesn't merely tack on a Bible verse--it allows biblical principles to totally transform how math is taught. Watch the video for a glimpse at how math can be taught from a biblical worldview! This is a spectacular book. What a great title! The principles of mathematics are not just how one number relates to another. ALL principles come from God. This includes the principles of mathematics. This book clearly teaches from this perspective AND provides examples to illustrate that point. ﻿Help Students See the Purpose to Math - Even Algebra﻿! Why do I have to learn that? It's a question students often have as they study, especially as they transition into upper-level math courses (such as algebra). This program answers that why question. It's packed with real-life examples and opportunities for students to apply math themselves outside of a textbook. View the video for a glimpse at how Book 2 shows algebra in action. Math does not have to be boring or feel like endless drill. Imagine learning how to cook merely from a textbook without ever being allowed to actually cook. You'd think you hated to cook, and that it was meaningless. Yet that's exactly how math is often taught. In this program, however, students get to apply the concepts they learn. Imagine how different math class would be if students got to find the height of a tree without leaving the ground, explore the amazing order in music, and learn how to balance a checkbook. They get to do all those things and MANY more in this course! My daughter has absolutely loved working through Principles of Mathematics! I’ve been so impressed with the creative teaching and diversity covered in the lessons. In my daughter’s words “this book really SHOWS you how math is used in real life. Like look at this part about the music notes, or this part about cooking! This is SO fun!” I often catch her sneaking in another lesson in the evening. Math comes alive and becomes exciting as students learn to apply it outside of a textbook. The curriculum reads more like a history or science book--it's written in a conversational style. And it includes a lot of history and science too! 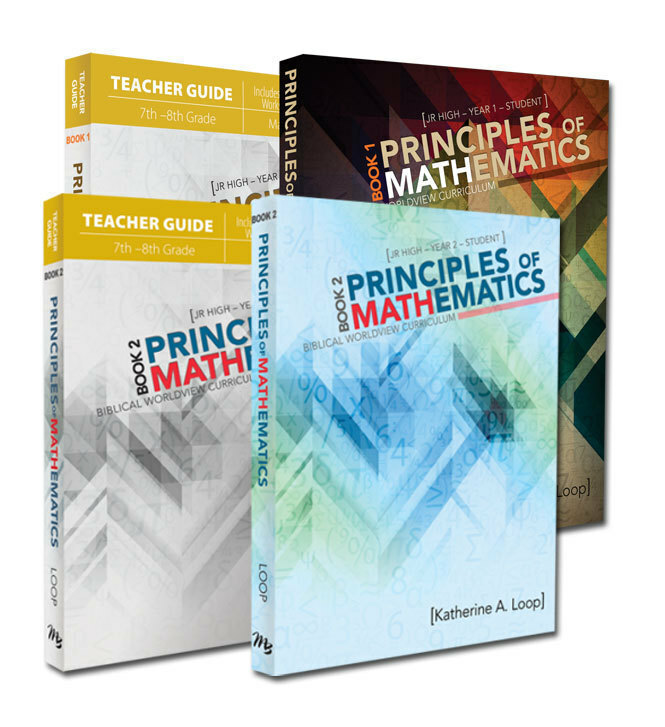 Principles of Mathematics by Katherine Loop is the most beautifully written math book I have ever come across, and believe me, I've checked out a lot! I am so in love with this curriculum, I'm currently working my way through it just for myself. Read more at G﻿race Filled Homeschooling. ﻿Fill in Gaps and Connect the Dots. Many students struggle when they get to high school because they didn't really understand something earlier on. This curriculum teaches concepts in a logical building order, filling in gaps and making sure students really understand the various branches of math. It also connects math with other subjects, such as art, history, and science, thereby helping students "connect the dots" and see the big picture of math. 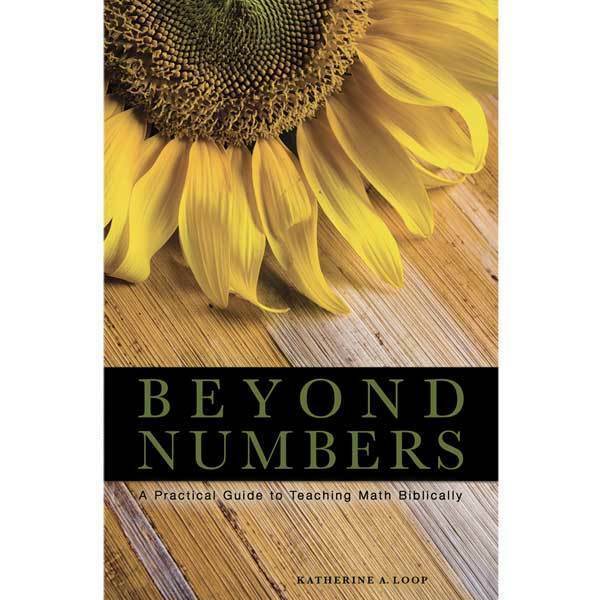 Finally, a math curriculum for homeschoolers that has it all — a biblical perspective on how and why math works; easy-to-use curriculum and lessons; and thorough explanation of math concepts and application. Students taking this course will will be well prepared for high school algebra and geometry after taking this course. — Lea Ann Garfias, author, blogger, and homeschool mom Read a longer review here. It Works for Junior High on Up. Junior High: Junior high students can use the program as their math course for two years (6th and 7th grade or 7th and 8th grade). After completion, they'll have firm grasp of all of basic math and be ready to embark on any algebra program. More importantly, they'll understand the purpose of upper-level math and have a solid biblical worldview on math. High School: Have a highschooler struggling in math? Completing the program in a single year is a wonderful way to fill in any gaps and transform their view of math. Alternately, the program can be used alongside another program to help a highschooler see the purpose to what they're learning. I have found these books to be superior in content, including text, figures and illustrations. Most importantly, the books integrate the Christian worldview in a way much superior to others I have used or reviewed. Principles of Mathematics Can Make! Still have questions? Check out our Frequently Asked Questions. My daughter has struggled with math since the beginning . Now in 7th grade we started principles of mathematics so far so good she really is enjoying it . So momma loves it too! Have an auditory or visual leaner? A student who needs more hand-holding? No problem! We now offer an eCourse supplement. The eCourse consists of online videos for each lesson; purchase is for access for the 2017 – 2018 school year. Students are able to submit questions to Katherine online as they complete the eCourse. My daughter has learned so much these past 2 levels! We used Principles of Mathematics 1 and 2 for 6-8th grades. It started with a wonderful review of arithmetic and continued into pre-algebra, geometry, statistics, and finances (and more). The videos were easy for her to watch on her own and she was able to complete the worksheets with some minor help from me. I feel that she has made huge leaps in her math understanding. Things she used to struggle with she now gets easily and says they are easy. We have enjoyed it so much that I recommend it to anyone who asks for middle school math suggestions. The author was quick to respond when we asked questions or recommendations from her. So wonderful to have that support! Below are some of the reviews Book 1 of the curriculum has received, which came out in spring of 2015. Book 2 is brand-new, so we haven’t received reviews for it yet. Please leave your own review below–we’d love to hear your thoughts! 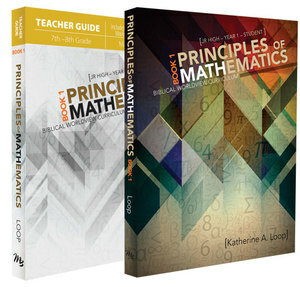 Principles of Mathematics by Katherine Loop is the most beautifully written math book I have ever come across, and believe me, I’ve checked out a lot! I am so in love with this curriculum, I’m currently working my way through it just for myself.